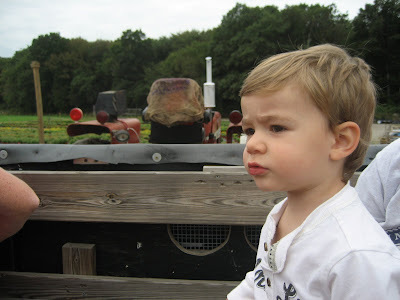 I'm visiting my sister this weekend in RI, and we decided to take my nephew on a hayride at Confreda Farms in Cranston yesterday. 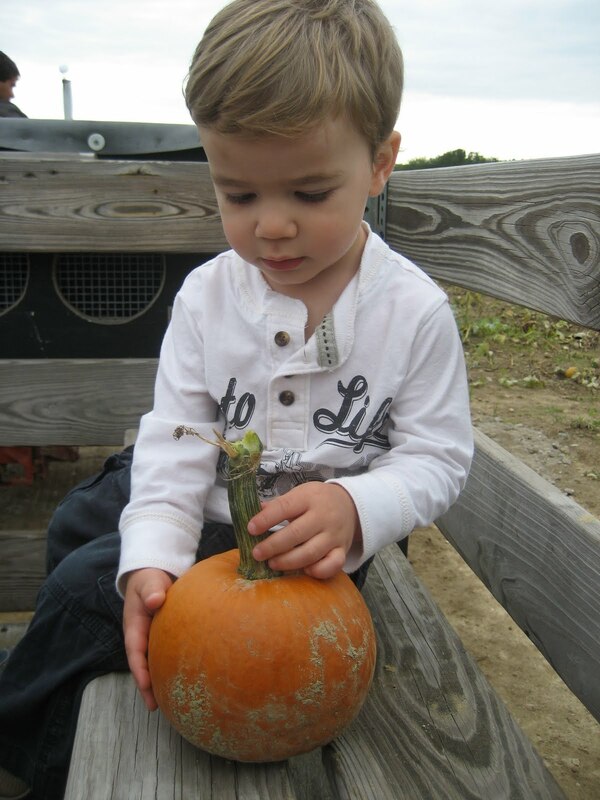 In addition to having him pick his very first pumpkin, I picked up some delicious sweet corn from the farm with plans to make a fresh corn soup inspired by one we made at work this week. They called it a chowder, but it's not what one would traditionally consider chowder because it lacks cream, and dairy for that matter. In fact, this version is completely vegan! 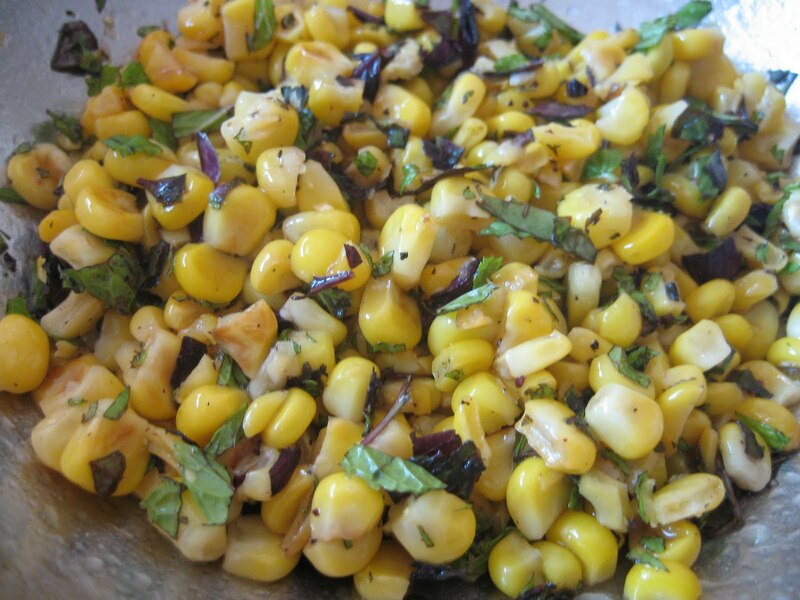 It's sweet, creamy, and delicious with a touch of acidity and bright herb flavor from the corn-herb salad. It's also very healthy because it only contains minimal extra-virgin olive oil for sauéeing and a bit in the salad. 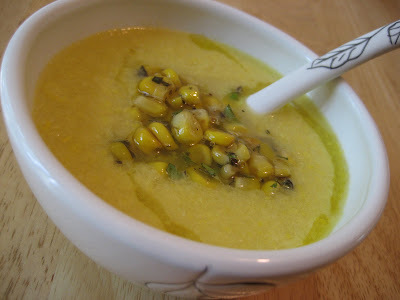 I hope you enjoy one of the last tastes of summer by trying out this fresh corn soup! 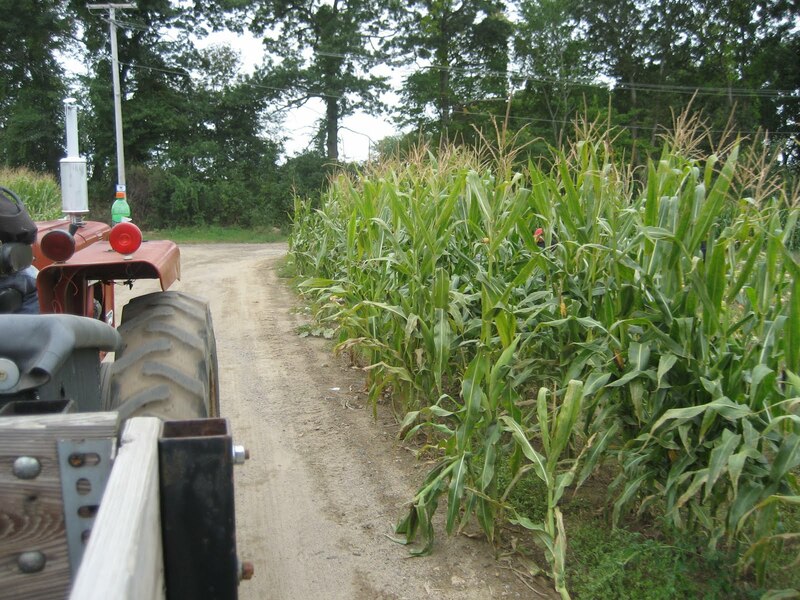 Stand one ear of corn at a time upright with the base against a cutting board. 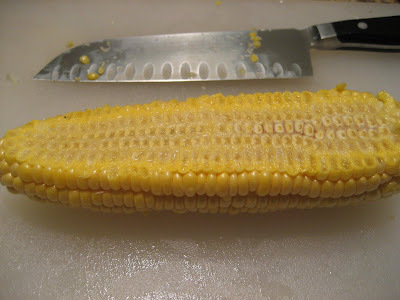 Using a sharp knife slice down against the cob to cut and remove the kernals. Rotate the ear of corn to cut off all the kernals around it and repeat until all of the corn kernals have been removed. Beware, this may spray sweet corn juices all over your kitchen and cause a bit of a sticky mess. 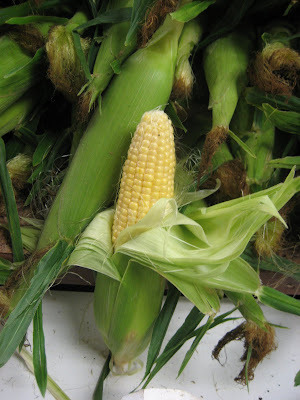 Place each cob into a large stockpot, one at a time, and using the back of your knife (dull side) scrape down against the cob to remove all the milky juices and any last bits of corn that may be left on the cob (this can also be quite messy). Drop the scraped cobs into the stockpot with their juices and add the onion, carrot, celery, and cold water. Heat over high uncovered until it begins to bubble, and then lower the heat and simmer for an hour. Your house will smell like corn. You will thank me. 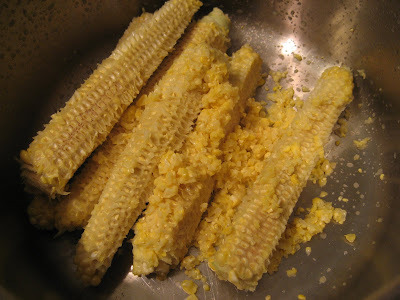 After an hour, remove the corn cobs using tongs, and strain the liquid through a fine-mesh sieve into another pot or bowl. 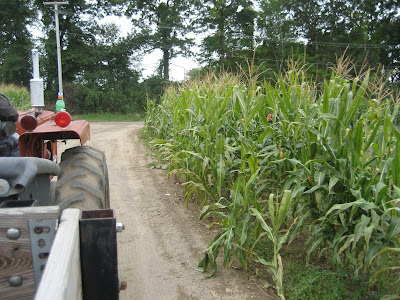 Measure out 4 cups of corn stock into a saucepan or pot (you will have about 7-8 cups total after making the stock). 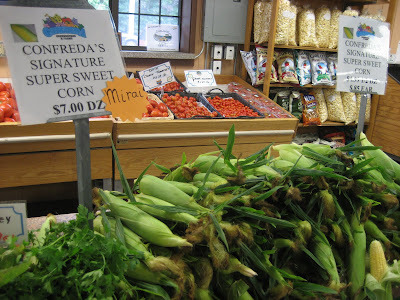 Reserve 1 1/4 cups of corn kernals and set aside for the corn-herb salad. 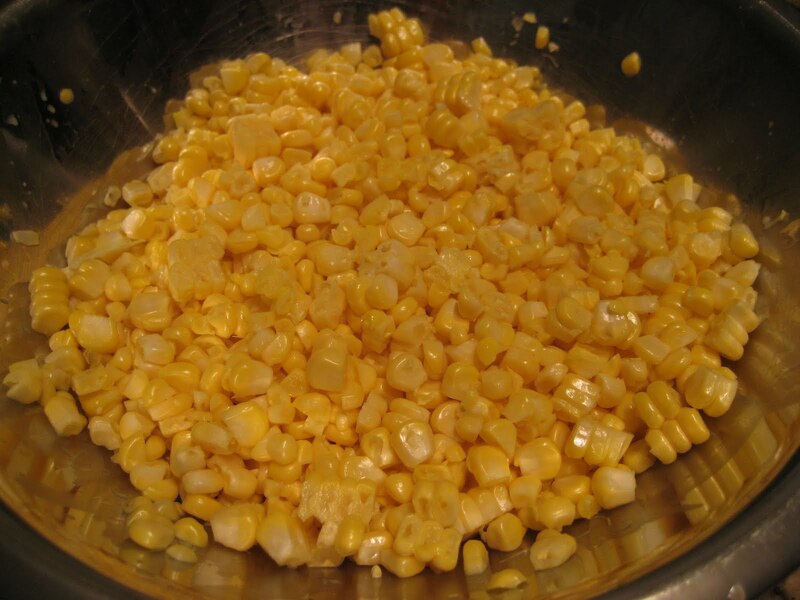 Add the remaining corn to the pot and bring to a boil. Lower heat and simmer for about 20 minutes, or until corn is nice and tender. Meanwhile, in a sauté pan, add some olive oil and heat over medium-high heat. 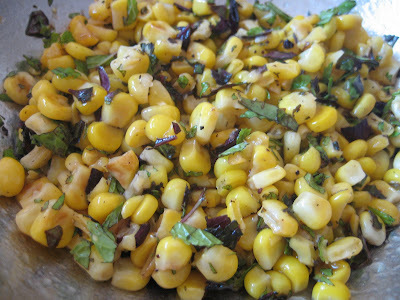 Add the reserved 1 1/4 cups corn kernals and sauté until it begins to turn lightly golden. Remove to a bowl and add the apple cider vinegar, 2 tsp. extra-virgin olive oil, and chopped herbs. Season with kosher salt and pepper to taste, and toss lightly. 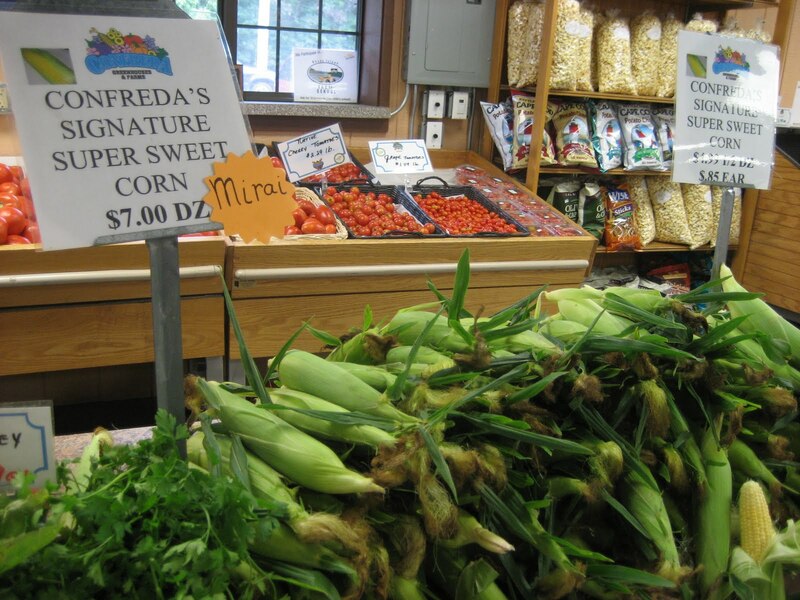 Set aside until ready to serve the soup. 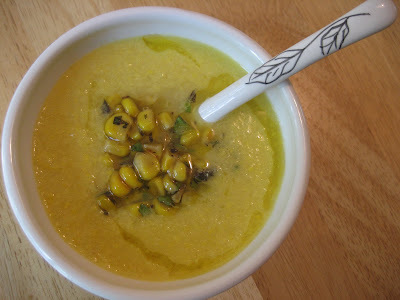 When the soup has simmered for 20 minutes, purée it in a blender in batches until smooth. There should still be some texture. Return puréed soup to the pot and place over medium heat. The soup should be fairly thick, but if you prefer it slightly thinner, add a bit more corn stock as needed. 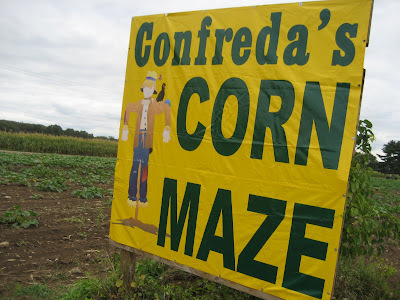 Reserve the remaining corn stock for another use, such as corn risotto. Season the soup with kosher salt to taste. 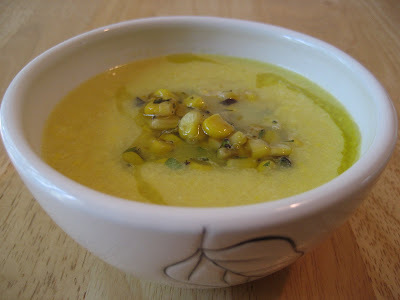 Ladle soup into bowls, top with some of the corn-herb salad and a drizzle of extra-virgin olive oil.